After spending eight months living away, I’m home. I was in Halifax, Nova Scotia, studying journalism at the University of King’s College. Now I’m back in the East End of St. John’s just in time for the arrival of the Easter Bunny – I had to google it, it’s April 21st this year. But I’m not just home for Easter, I’m home for good. Which has riled up a bunch of different emotions because when I first left to start my degree in Halifax I couldn’t leave St. John’s quick enough. I remember feeling cramped here, like I was stuffed in some economic and social detention and could never leave. 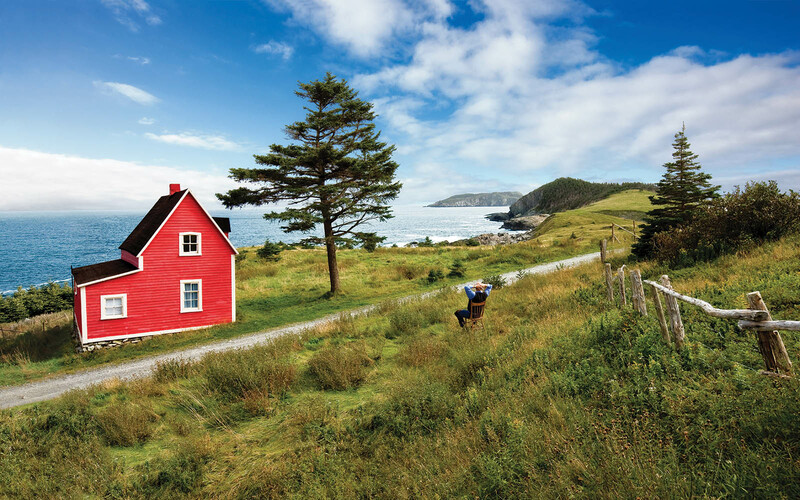 When you’re growing up here you hear the same thing all the time, you have to leave Newfoundland to get ahead. If you want to be in business go to Toronto. If you’re a doctor go to the States. If you’re an athlete go anywhere on the mainland. If you don’t know what you’re at, but you want to make money – go to Fort Mac. All of these are good reasons to leave. So why am I excited to be back? I mean there are things here for me, no doubt. On one hand, there’s Mom, and her loving nature, warm embrace, comforting words (not to mention stocked fridge, non-coin-operated laundry facilities, and cable TV). On the other hand, I get to hang out with my buddies, drink beers and listen to rock ’n’ roll in the shed. After being away I can’t wait to have a cold Newfoundland-brewed beer – Black Horse, Quidi Vidi, my friend Mark’s home brew, take your pick. Most all beers taste good, but they taste better when they’re on/from The Rock. And we get to see who will sit on the Iron Throne – Dwight Ball, Ches Crosbie, or Alison Coffin. Maybe they can forget their differences, and take on the “wight walkers” coming from the North – Nalcor Energy. Good times. Still, I could just as easy enjoy Newfoundland with a summer vacation, or a trip to the NTV News website. I’m excited to be back home because I want to see what Newfoundland can become. On one of my last nights in Halifax, myself and a good friend, Brent, who was enrolled in the same journalism program, found ourselves taking in the night air outside the campus bar. Now Brent has a fierce Islander pride for his Cape Breton home that competes with any of the passion I’ve witnessed for Newfoundland. He also says “b’y” more often than the b’ys I went to high school with. While outside the bar we overhead a mainlander laughing with his two friends about the time he hung out with a “goofy Newfie he couldn’t understand.” I ventured out of the shadows, tossed my cigarette to the ground, and asked if he could understand me, a Newfie. Brent, who’s never one to shy away from conflict, slowly inhaled his smoke. I could see in his eyes that if there was trouble us Islanders would stick together. Before things escalated, University Patrol intervened and we went our separate ways. I often feel Newfoundland doesn’t fight for Newfoundlanders nearly as often as we have to fight for our Newfoundland. I used to be mad about that, but now I realize Newfoundlanders are the ones who should be taking care of Newfoundland, not the other way around. And that’s why I’m so excited to be back. I feel there’s an underdog story going on here, one that could see this phoenix rise from the ashes. I’ve returned to Newfoundland with a different perspective. 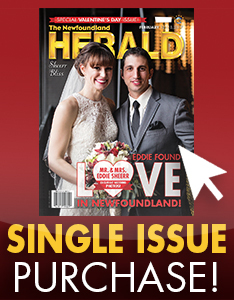 I love Newfoundland, and I think it can be a place of incredible opportunity, rather than lost dreams and EI cheques. We just have to fight for it.